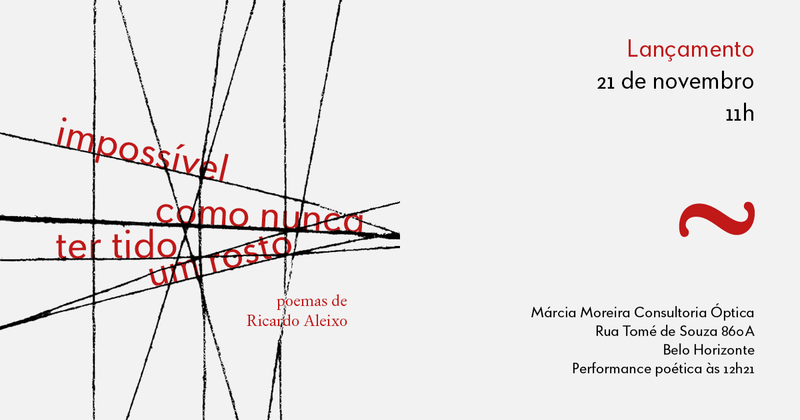 In order to celebrate the imminent launch of Impossível como nunca ter tido um rosto (Impossible like never having had a face), poet Ricardo Aleixo’s new book (more information about the event in the flyer above), there follows some words about much of what nurtured the editorial design work I have done. 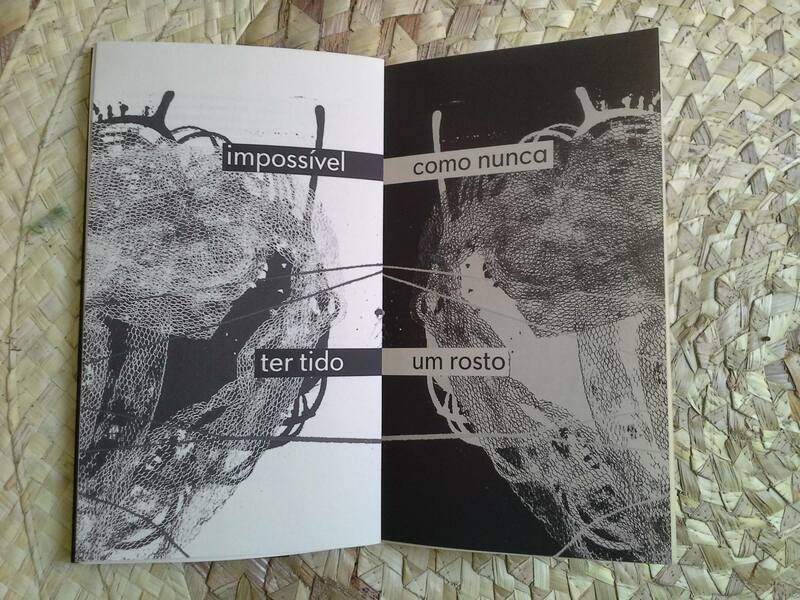 When Ricardo Aleixo hired me to accomplish this task, he pointed out exactly that he wanted me to give his book its face. This request guided me throughout all the work, and finally I ended up presenting not only one, but two faces. Faces are symmetrical in appearance. But we know that one half never corresponds exactly to the other one. 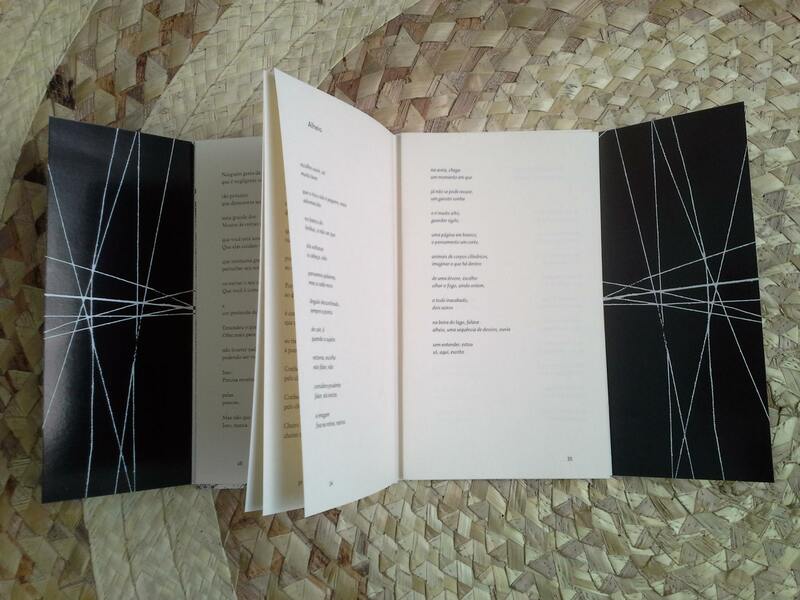 Thus, I explored the symmetry of the open book-object in order to evidence the dissonant symmetry obtained through the juxtaposing of the poet’s series of visual works “As únicas coisas” (The Only Things): one page presents the image in positive, while the other, in negative. The mirroring of the images that scenographically and orchestrally open and close the sections of the book, made in order to obtain the aforementioned symmetry, allowed me to arrive at interesting compositions, especially while connecting the lines/threads (a constant throughout all the artist’s work in diverse media) used in his work. As in the first poem of the book, the face “unfolds into many others”. 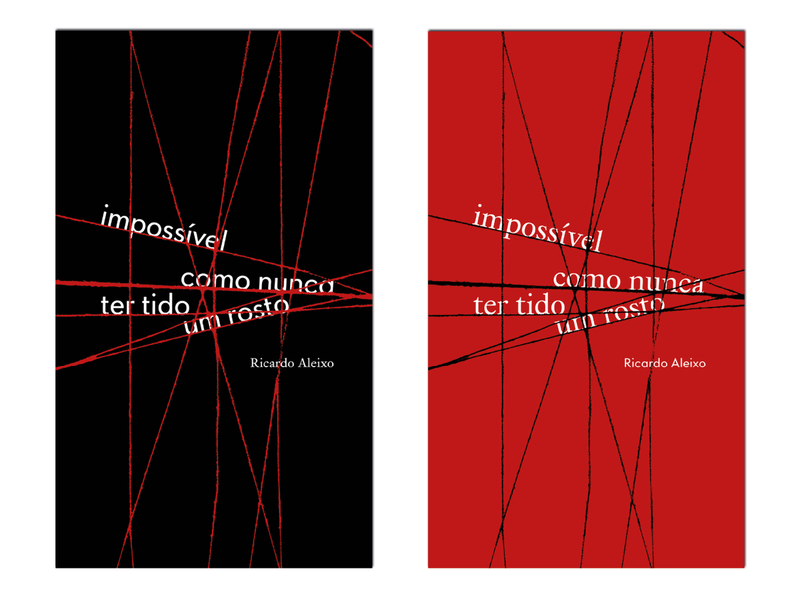 The successive reprints of Impossível como nunca ter tido um rosto will be divided into two graphic series. The book is typeset in Paideuma, a multiform typeface family designed by myself. The family contains three styles: Baroque (a serif design, used for the poems), Concretist (a sans serif used for titles and where the texts are in prose) and Tropicalist (a hybrid italic that can be used in combination with the two other designs). The intention is to make one graphic series presenting a particular arrangement of images and typography, and another one whose (typo)graphic arrangement is inversed: where one font was being used for a role – poems – it will be used to perform another one – prose and titles. This inversion will also take place through the passage from positive to negative of the mirrored images. Thus, in the series number 2, the left page will contain the negative image, while the right page will display the positive one. This principle will also be applied to the covers. In the colophon the number of the series is indicated, and the poet himself will sign each copy of the book. 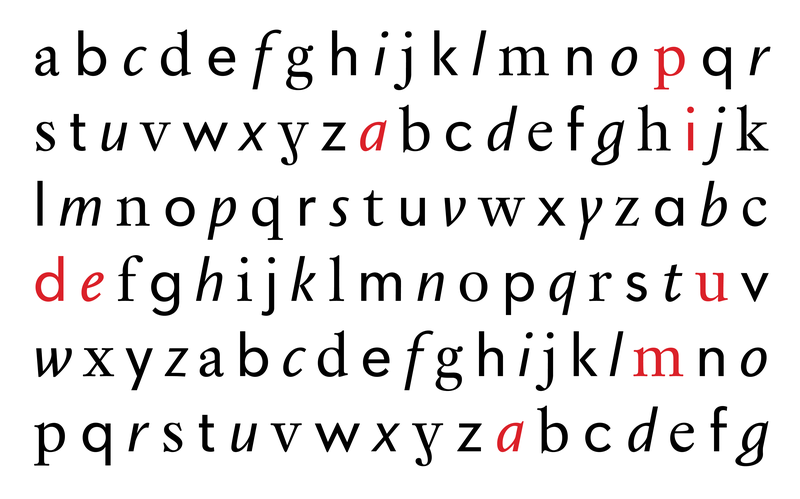 Overview of of the lowercase letters of Paideuma, a multiform typeface family. Covers of graphic series number 1 and two. The typesetting system elaborated, as well as the system of the typeface family itself, responds positively to this inversion. Hence, besides giving another unfoldment to the face of the book, we penetrate still into a domain whose affirmation on the visual and graphic fields is higher – and most importantly, the poems themselves remain intact and in the foreground. There are multiple possibilities of interpreting the poetry of this very gesture, since the book-object ends up signifying by itself its own content. Finally, the paradox lying behind the intention of systematizing so much pulsation and tension does not refer to an impossibility of design, but rather to designing the impossible. The face, apparently tied, struggles for its affirmation, which is reached through this very process. To me, one important lesson remains: the impossible may nonetheless be feasible. Or, in etymologic terms, poetic. NB: The photographs contained in this post were taken by Ricardo Aleixo and they represent the proofs of the book, not the final product. The remaining images were digitally produced by myself. As soon as I receive the finished book, I will dedicate to it an updated page on this website.